Here's my latest still life oil painting in progress. It is the third in a series of paintings featuring polished brass. This isn't too far from a finished product but I do want to get in and make some refinements. I'll give it a few days to dry then get stuck into it again. I am loving the reflective brass with the brilliant red tablecloth. The ceramic bear was found last week in a local op-shop. The rose is synthetic and is one of a bunch that came from a secondhand shop, along with another brass vase that will no doubt show up in a painting soon. My collection of brass and other oddments is growing quite fast. All I need now is the time to use them all in paintings. 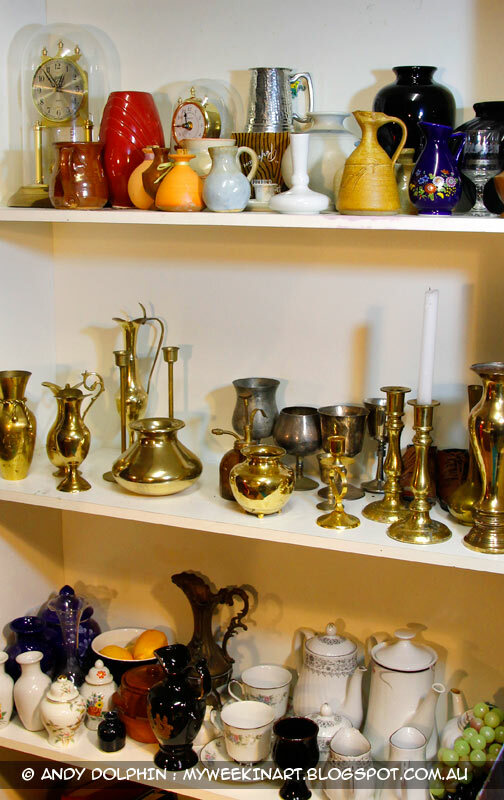 Hi Andy, I found your blog by googling for "brass pitcher still life". 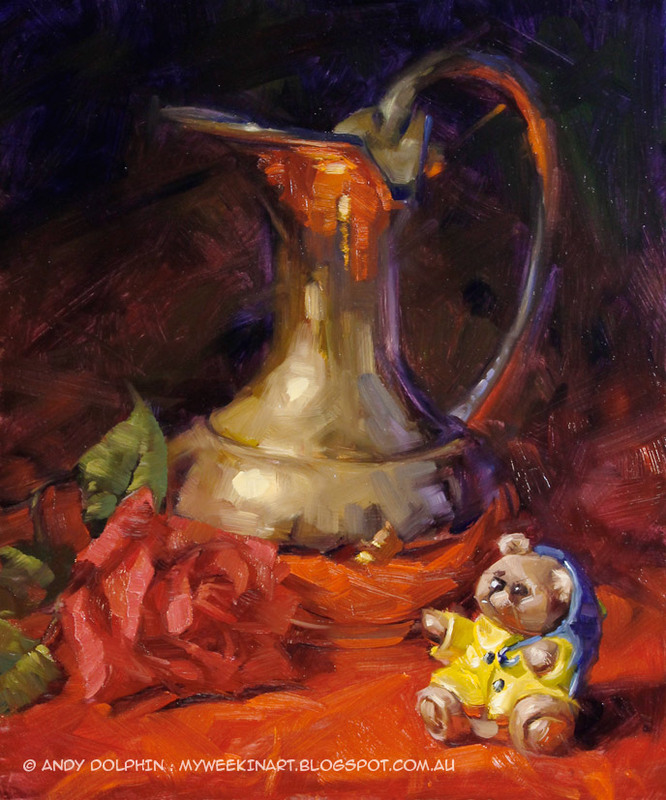 I was looking for inspiration on setting up a good still life composition using my brass pitcher...which is identical to yours! It's a wonderful object...I thought it would be a natural in still lifes and yet somehow I just can't find the right combination of things to put with it, colors around it, etc. Your paintings with it are helping me get ideas! I love the red cloth with it! Your paintings are so vibrant and wonderful. Thank you for sharing a little about them and about your process.